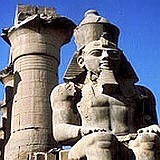 DAY 2 Memphis, Sakkara, Pyramids, Valley Temple, Papyrus Institute, night train to Aswan. DAY 6 Flight Luxor-Cairo, dinner & overnight. DAY 7 Old Cairo & Museum, Saladin Citadel, Khan Khalili Bazaar, Mohammed Ali Mosque, overnight Cairo. 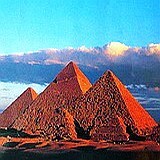 DAY 2 Memphis, Saqara, Pyramids, Sphinx, Papyrus Institute, overnight train to Aswan. 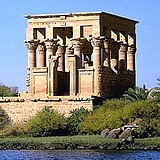 DAY 3 Temple of Philae, Aswan High Dam, Unfinished Obelisk, felucca sail to Elephantine Island & Aga Khan Mausoleum, o.n. 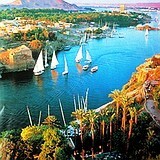 Aswan. DAY 7 Goshen to Mount Sinai: Heliopolis (biblical On), Wadi Tumilat, biblical storage cities of Pithom (Tell Maskhutah), & Ramses (Tell el Kantir), overnight Mt. Sinai. DAY 1 Depart for Cairo, dinner & overnight. DAY 2 Memphis, Sakkara, Pyramids, Valley Temple, Papyrus Institute, Aswan. 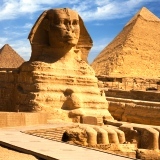 For more info about visiting Egypt or combining with a trip to Israel contact Zack Shavin, veteran guide & biblical archaeologist at Land of Israel Tours.